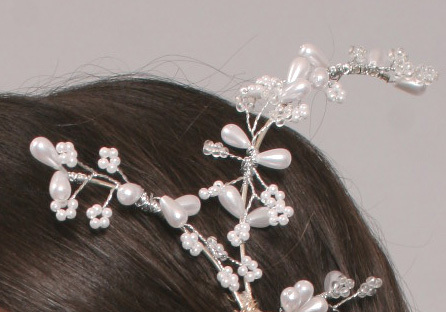 Elise is a sparkling, silvery tiara/crown worn to the side to beautiful effect. 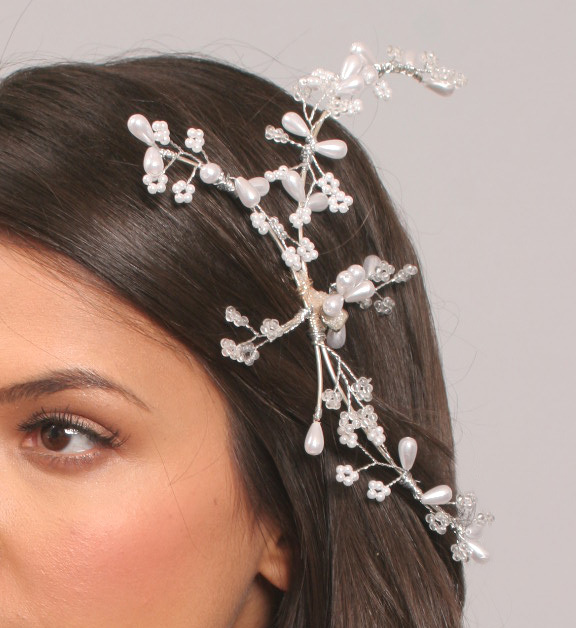 This piece looks great on both brunettes and blonds and goes particularly well with wedding dresses that include crystal and pearl detailing. Your guests will be in awe as you glide down the aisle shimmering and sparkling like a modern day fairy princess. A small metal hair clip keeps the piece attached to the hair. 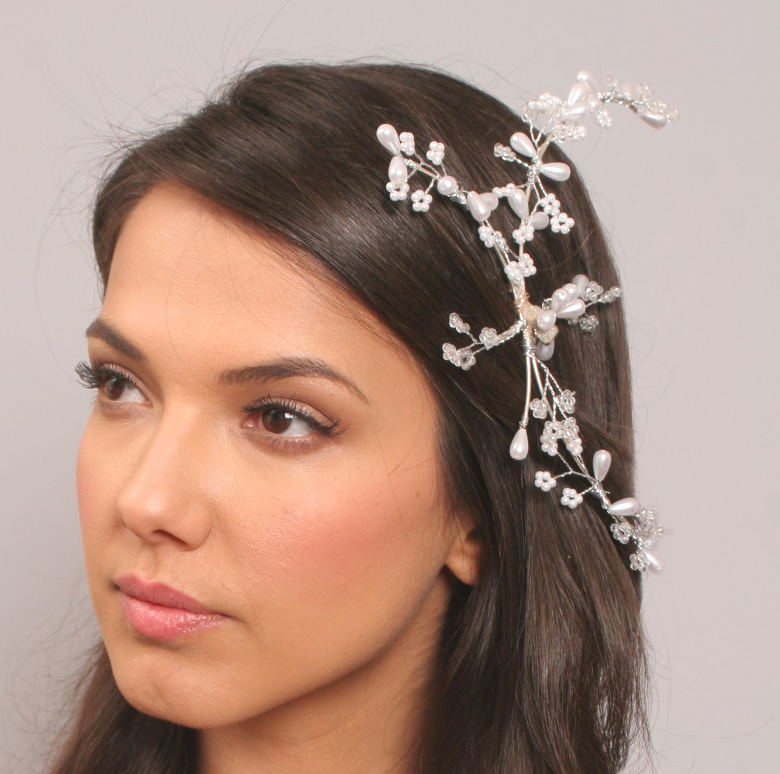 Strands and clusters of pearls and crystals twist and entwine to create a shimmering mirage across the hair. The piece is available in large (pictured) with the width at the widest part measuring 18cm and the height 16cm. The piece is also available in a smaller size measuring 9cm wide and 8cm high.